DR Photos: British Army-Config LMT .308 Modular Weapon System (MWS) Monolithic Rail Platform (MRP) / LMT L129A1 7.62mm NATO Rifle/Carbine for British Military Marksmen and Snipers | DefenseReview.com (DR): An online tactical technology and military defense technology magazine with particular focus on the latest and greatest tactical firearms news (tactical gun news), tactical gear news and tactical shooting news. 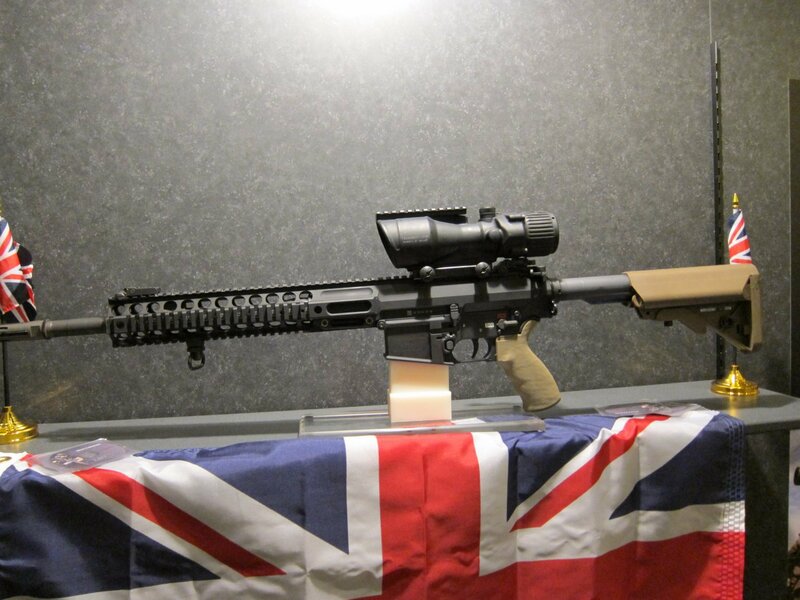 And, speaking of The Firearm Blog, they recently published a blurb on the British Army-config LMT L129A1 / LMT .308 Modular Weapon System (MWS) Monolithic Rail Platform (MRP) that was recently adopted, and subsequently designated as the L129A1. The article features some photos of the weapon that were shot at the Lewis Machine & Tool (LMT) booth at SHOT Show 2010. 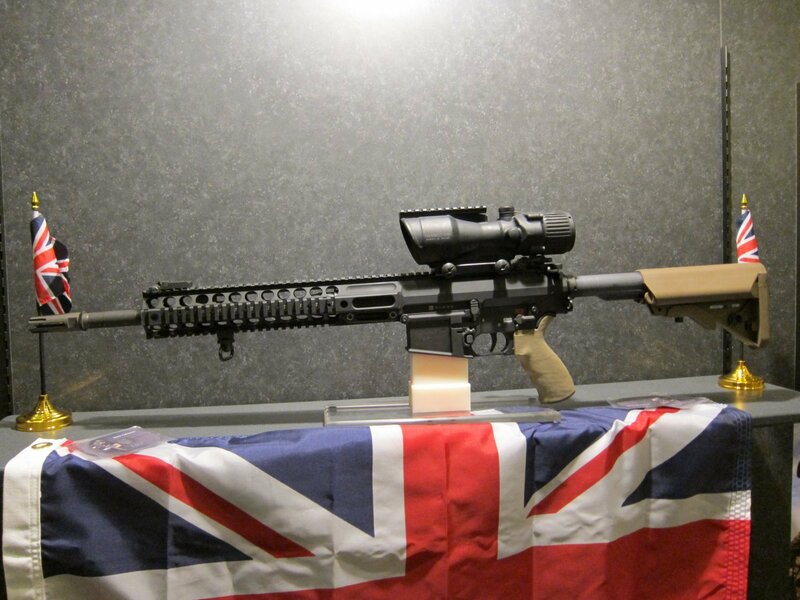 Well, it just so happens that DefenseReview shot its own photos of the very same British Army-config weapon at the LMT booth at SHOT. We just didn’t publish them in our piece on the LMT .308 MWS MRP 7.62x51mm NATO (7.62mm NATO) rifle/carbine series. We did, however, mention the L129A1 rifle/carbine adoption. 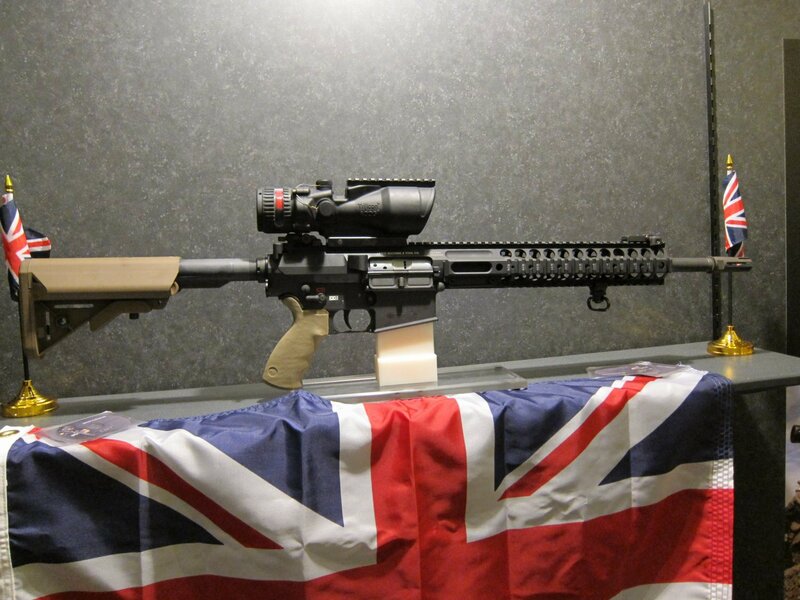 Why didn’t we publish the additional photos of the specific British Army config weapon at the booth? Not sure. An oversight, perhaps. Exciting, huh? O.k., perhaps they’re not all that exciting. Perhaps that’s why we didn’t publish them, previously. 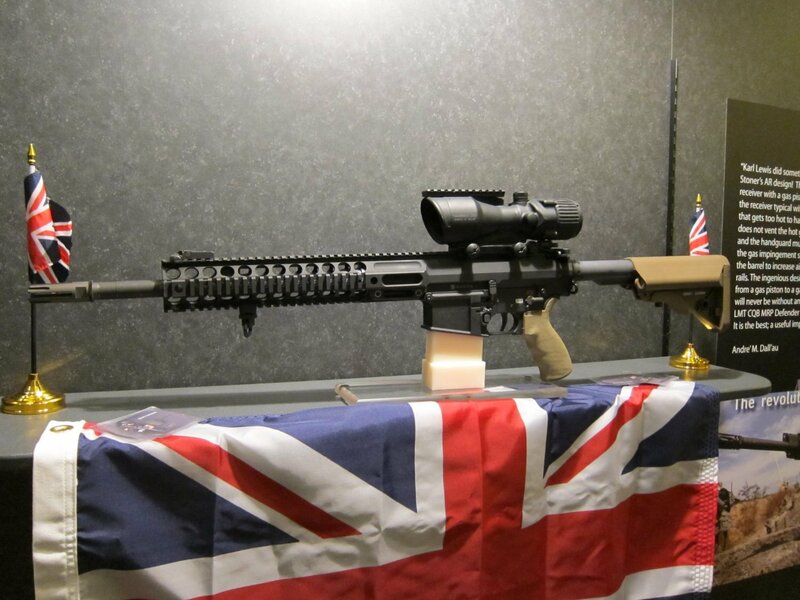 Anyway, while we’re going to all the trouble to publish the photos and all for you, we may as well mention, again, that a friendly British chap at the LMT booth told us that the LMT MRP .308 MWS (LM308MWSE) / L129A1–a direct-gas-impingement (DGI) AR rifle/carbine, by the way–significantly outperformed the HK417 (also written HK 417) gas piston/op-rod AR in British testing, both in reliability and accuracy. Defense Review wil try to get some specifics on this. So, a direct gas gun (AR) designed and made in America significantly outperformed a piston-driven AR made in Germany by the great Heckler & Koch (HK). Interesting. If only someone out there had published information that piston guns aren’t always superior to direct gas guns in all aspects and all situations. Wait a second. That’s right! We have published articles discussing that very topic (see below in our “Related Articles” section).